Personalized Notecard Giveaway from Papeterie! Happy Labor Day everyone! To celebrate the holiday weekend and what I hope has been a magical summer for all of you, we’ve got a fabulous giveaway today from stationery and wedding invitation designer Papeterie! Two of you lucky Junebug readers will win 25 of these beautiful chandelier print note cards in white and charcoal gray, complete with your names personalized on each and every one! These digital print cards are perfect as thank you notes for all of those wedding gifts and sweet gestures that are surely coming your way, and they make amazing gifts for your bridesmaids and groomsmen as well (Papeterie has a note card line just for guys. Very cool!). To enter to win, just head over to the Papeterie website and take a look around at all their gorgeous designs. Then come back here and leave us a comment telling us about your favorites; it’s as easy as that! We’ll take entries all week, and choose a winner next Monday, September 13th. Good luck, good luck, good luck, and thank you Papeterie! Giveaway! Personalized Letterpress Thank You Notes from Ephemera! There is so much to love! For table numbers, I love the cherry blossom, which would be perfect for my spring wedding. Also love the ampersand table number and matching place cards and thank you cards for both. I love the Regency design. Simple but elegant, just how I want my wedding to look! I love the ampersand note cards. Adorable! I love their tags, you could use them for so many different things. My favorites are the Vintage Initial, Jewel, the Dandelion (love that! ), and the Vintage Corner Scrolls. I would love to see the Frontier thank you notes in orange and I think the Chandalier note cards are adorable! Our wedding is over, but I had to sneak a peek at their invitations the “flight” and “oak tree” sets are both gorgeous! I’m in the thank-you-note now though, and they have many cards to choose from I’d love to write notes on the sweet dandelion cards, they pack a fun yellow punch! I am all about the elegance that the Papeterie stationary provides. My favorite design – the Capitol Postcard- showcases that simplistic elegance and adds a touch of personality by giving guests a preview of what the event will entail! I too favor the dandelions although these are all so beautiful and unique it is hard to choose. This stationary is elegant and practical. Great pictures. Thanks. I love the Coral invitations. So cool! WOW! What an amazing giveaway! I LOVE the Oak Leaves wedding invitations. They are simply stunning and would be perfect for our Fall 2011 wedding. Papeterie has the most stunning stationary hands down! My favorite is the Morocco Save the Dates. The elagant design and fabulous color combo makes these Save the Dates set the mood for a truly regal wedding. My fiance and I are in awe over the coral Save the Dates. They are perfect for our destination wedding in the bahamas. The Lobster!!! Love Love LOVE the Lobster embossed card. Lobsters mate for life…. So I am obsessed with Lobsters after getting engaged last week. I love the maple leaves note cards!! So cute and great for fall!! I like the poppy and floral stationary! Too cute! I Love the hand made Diane and Barry invitations as well as the Carole and Jeffrey both very unique and elegent. I love anything stationary so choosing only one was difficult -to say the least- which I’m sure others had the same problems. I loved the flat note card with the trolley and also the antique lace thank you cards. I’m going to go back to the site though and check out their wedding invite designs. I Love the Poppy ones! Very cute and feminine! I love the Peony invitations! Our initials are P&E and if you say that with a slack enough tongue, it sounds like Peony. Those are going to be the main flowers at our wedding. Love the Classic Double Happiness series! Wonderful way of infusing Chinese culture into the big day. I do love the simplicity of the CLASSIC FLOURISH FRAME THANK YOU. it’s hard to pinpoint favorites when everything is so pretty. definitely gravitating towards the chandelier, grapevine and poppy designs. :) thanks! I really like the trolley note cards. Being from New Orleans and living a block off of the streetcar line, these would be a great card to send out to friends from out of town. all of their stuff is so great! I love the classic medallion thank you in pear – it’d coordinate perfectly with our wedding colors! Simple and elegant! I love them. I LOVE the antique lace thank you cards. Beautiful! We’re currently looking for our wedding suite and I hadn’t checked out Papeterie Store yet! 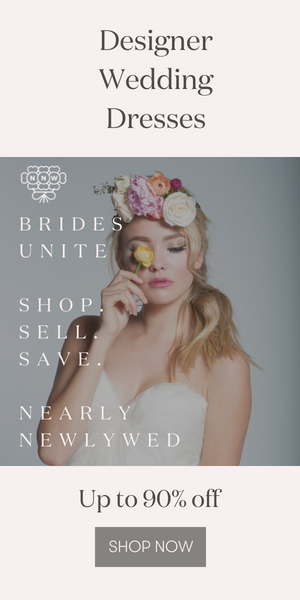 I love love love the Classic collection – our guest list is 560 so we’re looking for savings and gorgeous (possible?). Chandelier hands down! It just speaks to the soul of this girly girl! i love the mini-take out boxes – soooo cute! i’m a paper junkie – so deep down, i love it all!!!!!! Wow, I don’t think this competition is easy at all! I spent so much time trying to “shortlist” my favourites… and I would have to say the antique lace, vintage intials and the lace letterpress. Absolutely BEAUTIFUL!! Have not seen anything like this and believe me, I have been looking! The circle monogram is my favorite, it is clean and simple and will help me get used to my new initial for my last new last name. There are so many amazing choices that it’s difficult to even pick a few favorites. I really enjoy the Camellia, Dogwood, Sunflower and Peacock Feather thank you note cards!! I love love love the Classic Vintage Initials and Central Park motif, classic is timeless! I love how the unique shape of the wedding invitation is something unexpected and creative. Love all the graphics on the notecards, especially the dandilions. Honestly, I love the letterpress printed chandelier note card the best! The Poppy letterpress notecards are my favorite~the chandelier cards are beautiful too! The chandelier drawing look so elegant. White color is very appropriate for wedding, but my sister’s thank you card is color pink. It’s her favorite. Love the Poppy design, but in a charcoal and gold color palette! Sophisticated and fun. I also love the peacock feather, always a favorite motif of mine. There are so many amazing items on this website. Although, the Victorian Scrolls Rehearsal Dinner Invitations match our monogram perfectly. It uses the same scrolls. I Loooooove the Frontier Letterpress set. So quaint. I love all of the designs with the oak leaves/trees; especially the invitations. All of their designs are simple and elegant. Love them all! Great giveaway!! I love the Huma and Allan Invitation in black and white – it’s so elegant! The table numbers are the best I’ve ever seen! I will definitely be ordering those for my June ’11 wedding!!! I love the fern notecards. Wow – I love their designs! The Ampersand postcards are one of my faves. I love the Poppy wedding invite design! It’s got clean fonts, bold graphics and the attention to detail is impeccable!